Johannesburg - Africa's newest pan-African broadcaster Econet Media, are proud to announce the launch of its Internet Protocol Television (IPTV) service Kwesé Play - a video streaming service delivered on high speed data networks, in particular fibre-to-the-home (FTTH). Kwesé has invested in a multi-platform content distribution model which it has expanded to include IPTV, perfectly timed to meet current trends in South Africa which has shown a move towards over-the-top (OTT) services, particularly among viewers looking for diversity and choice. Video-on-demand services and streaming content over the internet utilising fibre networks has grown in popularity in South Africa, however the industry has been plagued by slow download speeds and the high cost of access. The Kwesé Play experience promises to be slicker and faster than anything currently available on the African continent. The company will leverage Africa's largest fibre network, available through sister company Liquid Telecom which concluded its acquisition of Neotel last year. Neotel holds leading-edge 4G and 5G LTE spectrum capability which is being configured to carry video content. According to Joseph Hundah Econet Media's President and Chief Executive Officer, "Kwesé Play removes many of the primary hurdles which have stopped some of the leading VOD services from entering the continent. Our platform will deliver an excellent viewing experience over a reliable and super-fast network at a price point which is more affordable than any service currently available in the market." Rather than building its own VOD business, Econet Media has taken a different approach and invested in building the best platform to house some of the biggest names in VOD globally. Kwesé is the exclusive African partner for Roku®, the largest OTT and streaming platform in the US . As part of its Roku Powered™ programme, which includes the likes of Sky for the Now TV Box and Telstra for Telstra TV, the Kwesé Play service will combine the strength of the Roku® streaming platform with the best in global and local VOD entertainment offered by Kwesé. Kwesé would also like to announce the launch of a long-term partnership with Netflix for Sub-Saharan Africa, leveraging Kwesé's pan-African reach to help make it easier for African consumers to enjoy Netflix. As part of the partnership, Kwesé will develop partnerships with telecoms operators across Sub-Saharan Africa to distribute Kwesé TV and Netflix. The first partnership activity is launching the Netflix service on the Kwesé Play streaming box today. Kwesé Play will launch initially in South Africa and will roll out across Sub-Saharan Africa. Netflix members in Africa will also be able to see some shows that are not available to Netflix members in the US, such as hit series Designated Survivor and the new Star Trek: Discovery series. Maria Ferreras, Netflix Vice President of Business Development, EMEA, said: "African customers are demonstrating their enthusiasm and appetite for internet television and we believe they should be able to access the best shows in the world at the same time as everyone else, without the restrictions of a linear schedule. We're working hard to make this a reality and we are thrilled to be working with Kwesé to make it easier for people to access and enjoy our service." Kwesé Play brings a unique proposition in a market where there is very little choice available to consumers. Through partnerships with the world's leading VOD content providers including but not limited to; Netflix, iflix, YouTube, RedBull TV, Revolt, TED, and HappyKids2. Kwesé Play introduces the most diverse VOD content offering with over a 100 VOD services delivered on a single platform. Kwesé Play will not only offer the best in entertainment but some of the best in sports and news content including Kwesé's own channels and content. "Our strategy is to provide the best in VOD via a superior network. We've partnered with the best in IPTV hardware and content to offer our viewers world-class programming through our fibre network infrastructure," added Hundah. Kwesé Play is now available across South Africa through leading retailers. 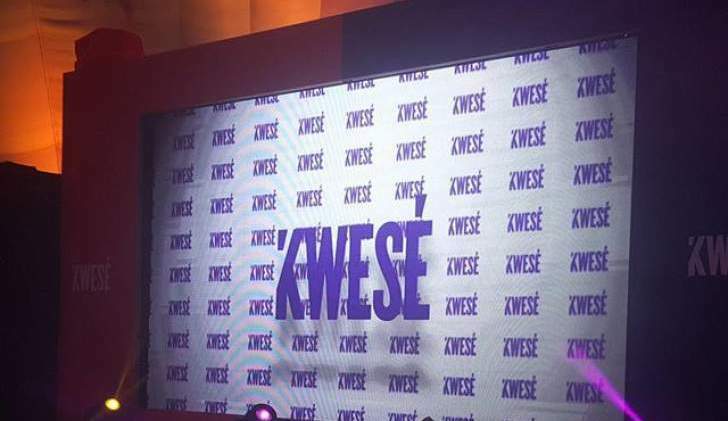 For information on where to get Kwesé Play visit: www.kwese.com. Kwesé has a presence in over 25 African countries through its multi-platform media offering which includes Pay-TV network Kwesé TV, Africa's biggest free-to-air network Kwesé Free Sports, leading digital sports destination KweseESPN.com and Kwesé's mobile TV offering delivered via the Kwesé App.